Born June 1960. Dr. IN Channy joined the Board of ACLEDA Bank Lao Ltd., in December 2014. He is the Chairman of the Board Governance Committee and a Member of the Board Audit Committee. He is also the Shareholder Representative of ACLEDA Bank Lao Ltd. Outside ACLEDA Bank Lao Ltd., Dr. In Channy co-founded ACLEDA in January 1993. He joined the Board of ACLEDA Bank Plc. (Cambodia) in August 2014. He is the President & Group Managing Director of ACLEDA Bank Plc. and Chairman of the Executive Committee. He leads the Executive Management Team, which is responsible for overall strategic planning and running the day-to-day business of the organization as well as implementation of the business plan. He is directly accountable to the Board of Directors of ACLEDA Bank Plc. His other responsibilities within the Group include Shareholder Representative for ACLEDA Securities Plc., the ACLEDA Institute of Business, ACLEDA MFI Myanmar Co., Ltd. and ACLEDA Properties Ltd.
Outside ACLEDA he is the Chairman the ACLEDA Financial Trust, Chairman of AJF for Education, Chairman of the Cambodia-Japan Association for Business & Investment (CJBI), and Co-Chair of the Government Private Sector Working Group on Banking and Financial Services. Board Committees: Risk Management (Chair), Assets and Liabilities, Governance. Born in 1958. Drs. 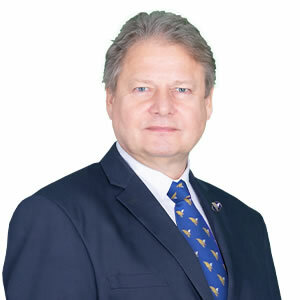 Pieter Kooi joined the Board of ACLEDA Bank Lao Ltd., in July 2008. He obtained his Master's Degree with distinction in Corporate Finance and Sociology from Erasmus University in Rotterdam, the Netherlands. From 1993, he advised ACLEDA as a microfinance consultant over a period of seven years in its course from a development program into a commercial bank. From 1999, Drs. Kooi worked as a short-term microfinance consultant on projects in 15 countries located mainly in Africa and Asia. From September 2002 until December 2005, Drs. Kooi was Director of the Microfinance Unit of UNCDF in New York. From March 2006 till May 2011 Drs. Kooi supported ACLEDA Bank Plc. as a part-time consultant in the establishment of ACLEDA Bank Lao Ltd., the ACLEDA Institute of Business and ACLEDA Securities Plc. At present Drs. Kooi serves on several Boards and provides short-term consultancies and training in governance and strategic management for retail banks and MFIs. He is a Graduate of the Australian Institute of Company Directors. Born April 10, 1954. Mr. Chhay Soeun joined ACLEDA Bank Plc. Board in September 2014. He obtained his Executive Master's of Business Administration in Finance and Accounting from Preston University, California, USA. He is a graduate of the Australian Institute of Company Directors (GAICD). He originally joined ACLEDA in January 1993 until his retirement on April 10, 2014. His last position in ACLEDA Bank Plc. was as Executive Vice President & Group Chief Financial Officer. 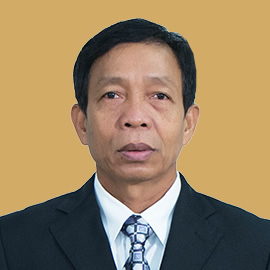 From 1980 to 1992, he was an accountant and deputy chief accountant of the Kampot Provincial Department of Commerce. 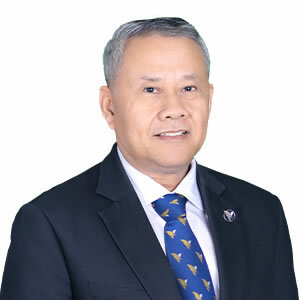 At present, he is Chairman of the Board of Directors of ACLEDA Bank Plc., Cambodia, a Board member of ACLEDA Bank Lao Ltd., and a Board member of ACLEDA MFI Myanmar Co., Ltd.
Born October 22, 1957. Mr. 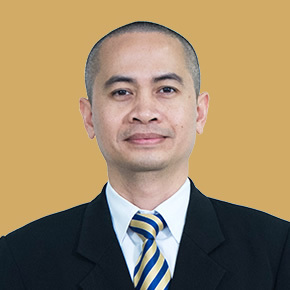 In Siphann joined the Board of ACLEDA Bank Lao Ltd. in June 2015. He is also the Chairman of the Board Credit Committee, a member of the Board Governance Committee, and a member of the Board Risk Management Committee. He joined ACLEDA in May 1994 until his retirement date, October 21, 2017 when his last position with ACLEDA Bank Plc. was Senior Vice President (SVP) & Head of Credit Division. He was also a Board Member of Credit Bureau (Cambodia) since its establishment until his retirement. 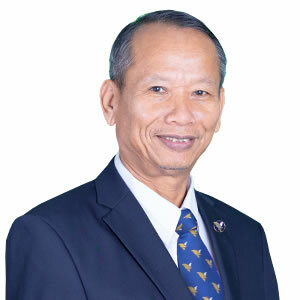 From 1980 to 1993, he worked for the Kampot Provincial Department of Commerce with his last position as deputy director of a company of this department. He holds a Master's of Commerce (MCom) from IIC University of Technology, Cambodia. Board Committees: Audit (Chair), Assets and Liabilities, Credit. Born in 1955. Mr. Lydall joined the Board in November 2016. He has been a Director of ACLEDA Bank Plc. since August 2015, and serves on several Committees, including as Chairman of the Remuneration and Nomination Committee and the Information Technology Committee. Mr. Lydall has served clients in the auditing and advisory sectors since 1976. 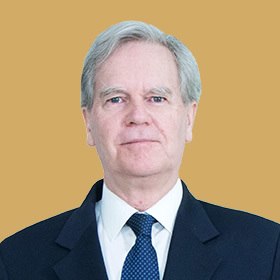 He has been with PwC in the Sultanate of Oman, the Republic of South Africa, the United Kingdom and latterly was the CEO and then Chairman of PwC Vietnam from 2001, retiring from the firm on June 30, 2015. Since retirement, in addition to serving the ACLEDA Group, Mr. Lydall is Chairman of AAA Corporation (non-life insurance), director of VinaLand Limited (real estate development) and adviser to Talentnet Corporation (human resource services). Mr. Lydall is a Fellow of the Institute of Chartered Accountants in England & Wales, an Associate of the Institute of Taxation (UK), and a Vietnam CPA. He holds a B.Sc. (Econ.) from the London School of Economics and Political Science and a Licentiate from Trinity College London. Also, he was awarded the Certificate of Merit by the Vietnamese Prime Minister for services to the auditing industry.